Effectively managing interest rate risk (IRR) is one of the most important and most challenging issues facing banks today. A shift in rates can compress margins and threaten the health of a bank’s balance sheet. 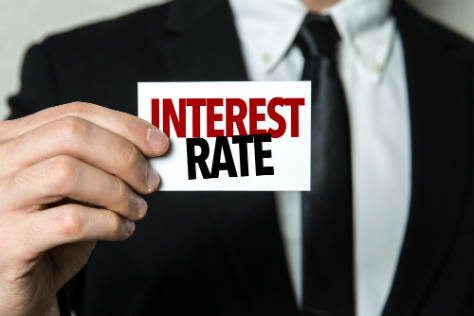 Having a system that monitors and measures your potential exposure can limit interest rate risk in your institution and better prepare you for a fluctuating rate environment. The first step in IRR is effective measurement. A variety of financial models are available and have become more sophisticated and accurate, allowing for bank determined assumptions and leading to a more effective assessment of short-term and long-term risk. Banks can also adjust their mix of assets and liabilities to lower interest rate risk exposure. In addition, some banks may enter into financial contracts to shift some of their interest rate risk to other institutions. The federal government also plays an important role in addressing risk in the financial system. Regulators are evaluating a bank’s ability to effectively analyze their IRR without taking on undue levels of risk. IRR is measured in under short and long-term horizons. One short-term measure is static gap reporting, which identifies potential differences in interest rates for earning assets versus liabilities. A gap can cause a reduction in their net interest margin or net income. Assets or liabilities are considered rate-sensitive if their respective rates can change within a specific timeframe. This is often expressed as a ratio: Rate Sensitive Assets to Rate Sensitive Liabilities (RSA/RSL). Banks with more rate-sensitive assets than the equivalent liabilities may be better positioned for a rising rate environment. Conversely, liability-sensitive banks can face increased IRR and ultimately, impact to the balance sheet when interest rates rise. Since static gap reporting does not capture unscheduled loan or bond payments, banks also use Earnings at Risk (EaR) models. These models take a base case net income or net interest income figure where rates do not change and evaluate multiple interest rate scenarios to determine the subsequent impact on earnings. Banks may also use EaR analysis for a longer timeline (2-5 years, for example), or utilize a more comprehensive model that can provide an Economic Value of Equity (EVE) analysis. EVE analysis in a baseline scenario projects cash flows from assets and liabilities over the life of each product, assuming rates change. The cash flows are stressed in a range of positive and negative scenarios to identify potential risk in equity, or the EVE. The analysis is commonly tested in basis point increments of 100-400. EVE is particularly useful for banks holding long-term bond portfolios and assets that have embedded options, as the risk to either product is not always captured in short-term measures like RSA/RSL and EaR. There are numerous ways you can manage IRR, but there is no one perfect analytical model. Often banks develop a variety of possible scenarios to understand the risk to their balance sheet. With the right tools and appropriate assumptions, you can best position yourself to weather future economic shocks. If you are looking for help on how to measure your IRR, Bank Strategic Solutions is here to help. Contact us today by calling (877) 560-4220 for more information.